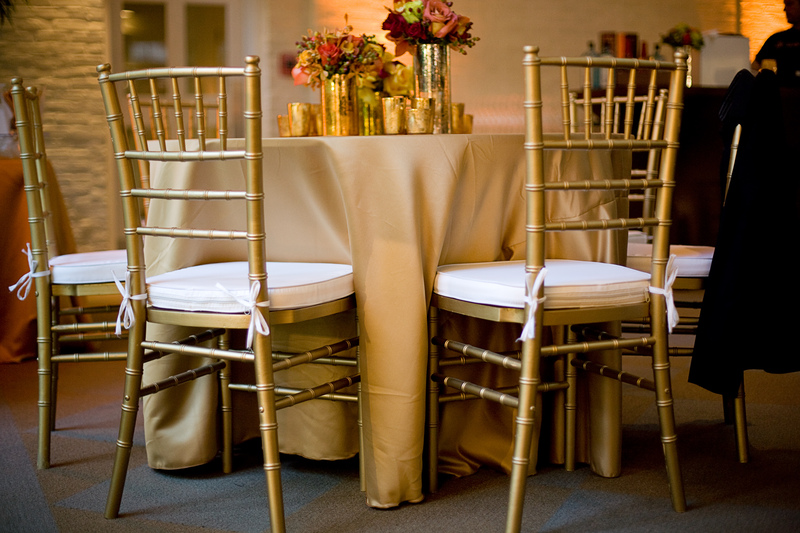 The luxury of working with beautiful venues in Memphis, Tennessee like the Dixon Galleries is that you get to also create beautiful weddings in these places. With fall weddings abounding right now, espeically since late September through November in Memphis has gorgeous weather, we thought this would be a great time to show how an ordinary concrete pad outside the Hughes Pavillion can be transformed into an amazing wedding reception. 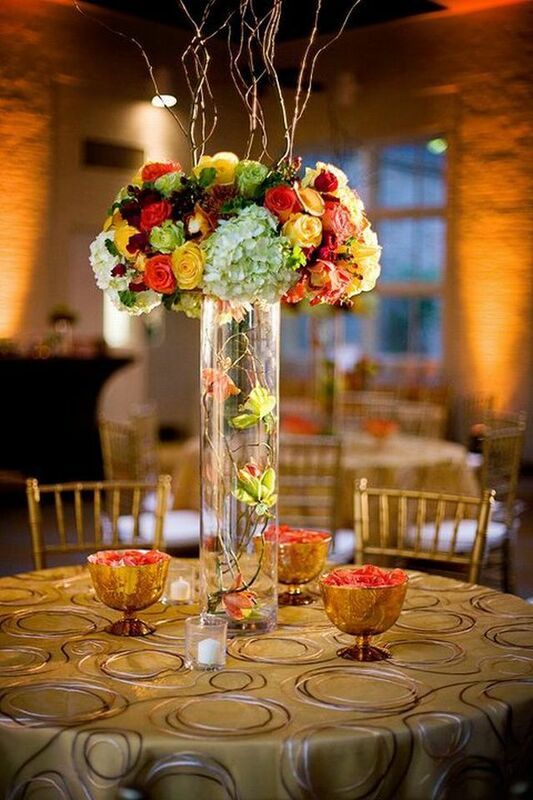 The pops of orange, reds and golds make the flowers come alive in this space. 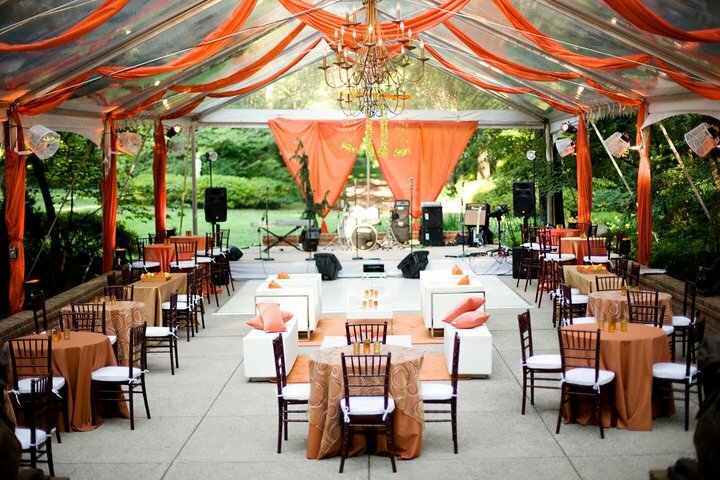 The clear top tent is now a show stopper with the added orange draping. 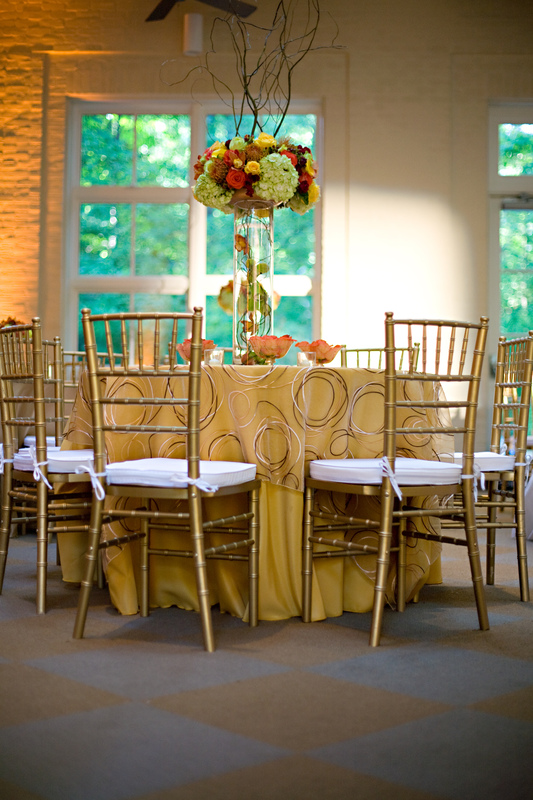 We loved the gold and brown embrodiered circle overlays from Mosaic Linens ontop of the burnt orange polys. 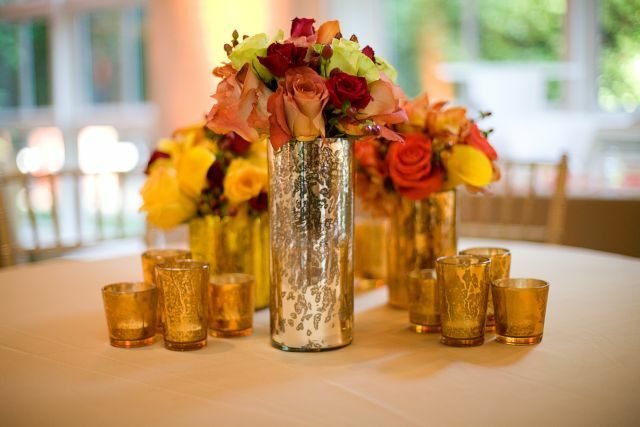 The floral designer, Haute Horticulture, used mercery gold vases and votives to enhance the floral arrangements. 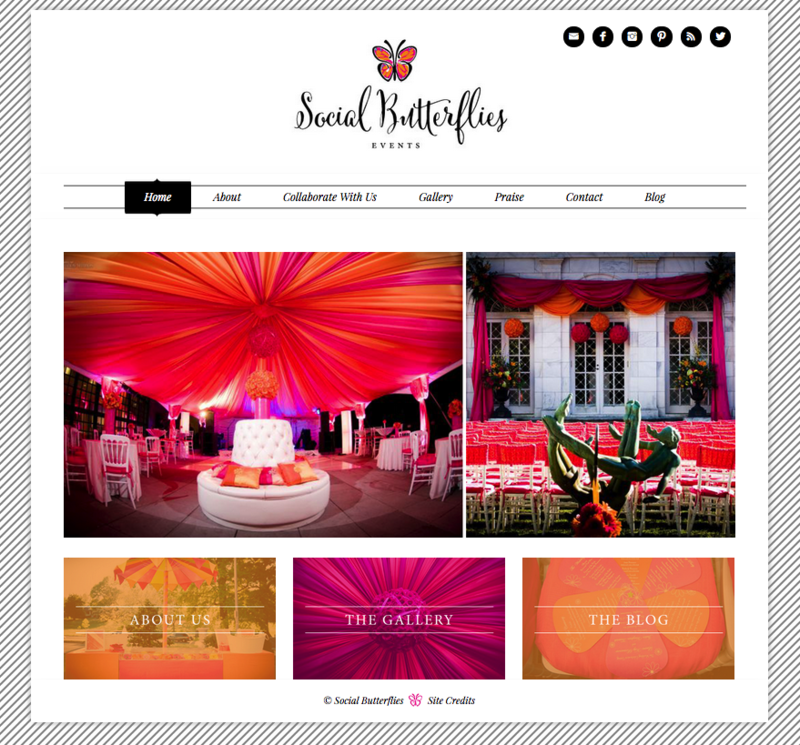 Social Butterflies is so excited to finally announce the release of our new website!! We have been working on it for months and months and the time is finally here! If only we had time to throw ourselves a party to celebrate!! That will have to wait with all we have going on and the holidays rapidly approaching- but make no mistake- we will make up for it in full butterfly fashion at just the right time! We can’t wait for you to stop by the new site and check it out! We would love to hear from you and know what you think too! We have updated our logo and given everything a fresh pop of color! The fabulous duo – Katelyn Brooke of Katelyn Brooke Designs ( http://katelynbrookedesigns.com) and Whitney English (www.whitneyenglish.com) were our partners in bringing this creation to life. Thank you ladies for your patience and beautiful work! We can’t thank our amazing clients and vendors enough for the honor of working with them to design such special events that created many memories for all involved- and happen to help make our website look so stunning! And a HUGE thank you to the talented crew of photographers that captured the beauty of each event for us and preserved these precious details and memories for all to enjoy. We are so grateful and thankful for the many blessings that have been showered over us and can’t wait to see what’s in store for the future! Thank you for your love and support and friendships!!! – from the bottom of our fluttering hearts!! Now – without further adieu- flutter by the new website and check it out!